The second novel in the Man Booker Prize-nominated author's Seasonal cycle; the much-anticipated follow-up to Autumn (a New York Times, Washington Post, NPR, Financial Times, The Guardian, Southern Living, and Kirkus Reviews best book of the year). Winter. Bleak. Frosty wind, earth as iron, water as stone, so the old song goes. And now Art's mother is seeing things. Come to think of it, Art's seeing things himself. Winter. It makes things visible. 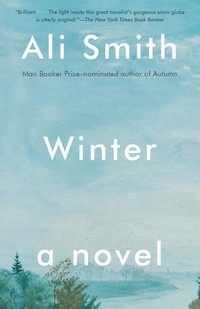 Ali Smith's shapeshifting Winter casts a warm, wise, merry and uncompromising eye over a post-truth era in a story rooted in history and memory and with a taproot deep in the evergreens, art and love.